At least New York has a workplace anti-discrimination law for the benefit of transpeople. The abuses reported in the story come down to manager-level abuses. Bad, but at least the transpeople have a basis for protection, unlike in Kansas and Missouri. 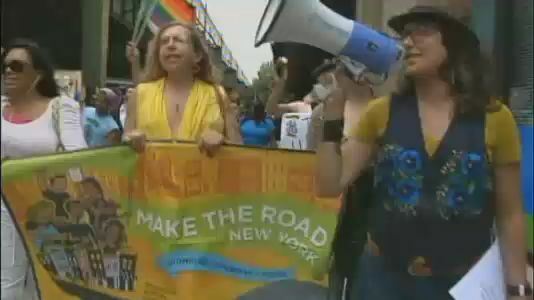 Pride Week 2013: Transgender NYers Fight Discrimination In The Workplace – NY1. This entry was posted in Activism, Politics and tagged new york city on June 28, 2013 by .